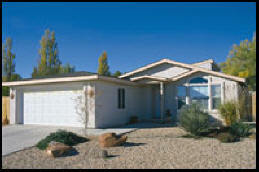 Sunrise Estates consists of lots ready for custom built homes. Sunrise Village consists of lots ready for single family site-built homes or manufactured homes set at ground level, stuccoed with garages. Sunrise Park, our newest area is designed for new manufactured homes with block foundation or matching skirt. Visit our office at 644 N. Navajo through the Chamber of Commerce next to Dam Bar & Grille.